Posted October 15, 2013 by Eric Graham . The internet has been buzzing (and mildly panicking) recently over the latest Google algorithm update and what that means for SEO. The good news is that Hummingbird wasn’t just sprung on us – Google has actually been introducing it over the last few months as an addition to its current search model. What’s changed: When it comes to strategy, Hummingbird shouldn’t cause any marketers to freak out and wonder if they’re going to have to change everything. Yes, keyword-based search results are going away, but this doesn’t mean you have to scrap all your keywords or update your optimization. 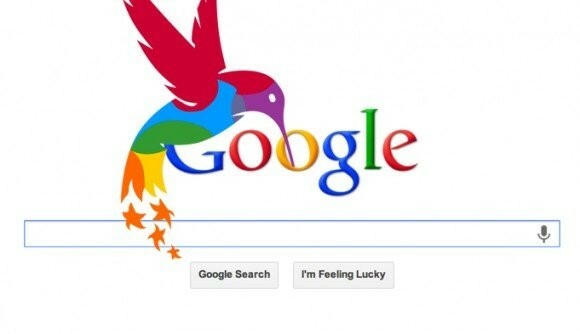 Hummingbird simply allows Google to interpret the meaning of a search query differently, not just the keywords in the query. What hasn’t changed: If what you’re doing is already working, keep up the good work, provided that you’re following all of Google’s rules and, most importantly, continuing to provide fresh content on your website. Original, optimized content is still a key component to increasing rankings and turning visitors into customers. With that in mind, it is also very important to think about content creation on a more semantic level. Think about a problem you can solve or answer frequently asked questions; research what information your customers are looking for and what they really need and you will be right on track for success. The bottom line: Hummingbird is not the end of search marketing as we know it but merely an opportunity to utilize SEO (and that fresh, original content!) to increase your authority online and separate yourself from your competition. Not sure where to get started with your SEO? Contact AMG today to learn more about our comprehensive online marketing services, including a variety of SEO packages to fit your needs and budget.